Seasonal allergies are not just a problem that plagues humans. In fact, VPI Pet Health Insurance lists allergies as the number one health condition affecting dogs, and cats are no stranger to the problem, either. Generally speaking, the offending substances that cause you to experience allergic symptoms are the same culprits causing your pets’ allergic reactions. Your pets, however, won’t always show the watery eyes and runny nose that you’re used to associating with the change of seasons. What your pet experiences is quite different and most often manifests itself as a topical reaction in the form of red and/or itchy skin, ear infections, etc. In some rare cases, it also involves gastrointestinal symptoms, such as occasional vomiting or diarrhea. Pets with seasonal allergies most often begin to experience their first signs and symptoms around the age of two to three years old. This is due to the way that allergies work: the body takes a certain amount of time after exposure to develop a sensitivity to a substance. Redness of the skin (with or without warmth that you can feel). While this allergic symptom may be observed anywhere on your pet’s body, it is most often seen around the face, paws, and under your pet’s belly. Itchy skin, which is most often noticed by the owner when the pet engages in certain behaviors, such as chewing the feet, constant licking of a certain place on the body, frequent scooting across the floor, or rubbing the face on carpet or furniture. Sensitive or constant irritation of the ears. If this is the case, the pet owner will observe behaviors, such as pawing at the ears, frequent head shaking, redness and inflammation of the outer ear, etc. If your pet is showing signs of seasonal allergies, speak with your veterinarian as soon as possible. You’ll be glad to know that you have quite a few options for treatment. Remember that allergies are not a disease that can be cured, but it can be managed with any combination of immunotherapy, immunosuppressive medications, antihistamines, and topical mediations (such as creams, sprays, and shampoos). Every pet is different, so your veterinarian is your most useful resource for determining what course of action may be best for you. Planning to Adopt? Consider a Deaf Pet! Adopting a pet with special needs is not a decision that anyone should take lightly. Potential adopters should always take the time to research any extra expenses or responsibilities that may be associated with owning a pet with disabilities, as well as any “special” measures that may need to be taken to keep the pet healthy and happy. In some cases, it may simply require you to administer a few extra medications every day. Other cases may be a bit more extreme, requiring you to modify your home environment, commit to frequent veterinary visits, and more. In the case of dogs with a hearing impairment, however, you won’t need to do much to keep these guys happy and thriving. Fortunately, deaf dogs are just as intelligent and capable as hearing dogs, and contrary to popular belief, they are not harder to train. The only special precaution that is typically required with deaf dogs is a leash. Even in a fenced yard, they should not be left unattended, and under no circumstances should they ever be allowed to roam freely outdoors. Otherwise, with the right amount of training and attention, deaf dogs make great family companions. Want to learn more about what it takes to become the caretaker of a deaf pet? Below, we’ve listed a few frequently asked questions to get you started. If you’d still like to learn more, check out www.DeafDogsRock.com. They have a wealth of information for anyone who is interested, as well as listings of deaf pets who are currently available for adoption. Are certain dogs more prone to deafness? In short, the answer to this question is “yes”. Certain breeds may be more prone to deafness due to anatomical issues, such as a narrow ear canal or a tendency to have more hair in the inner ears. Poodles, spaniels, and terriers often fall into that category. Other breeds have a tendency toward deafness due to genetic variances, rather than anatomy. Dalmatians and Boxers are among those breeds that are genetically predisposed. What does it take to keep a deaf dog safe? The most important thing to remember is that your dog will not be able to hear you calling from a distance, so you should do everything possible to make it easier to locate the animal if he or she becomes lost. Microchips are extremely important in deaf pets, and many owners say it helps to attach a bell to their collar. It’s also critical that you invest the time and energy into properly training your deaf pet. A few simple hand signals can go a long way toward keeping your best friend safe. DIY Cat Furniture Ideas, Plans, and More! Over the years, “cat furniture” has become pretty popular among pet owners everywhere. The blanket term may refer to any number of items, including cat beds, cat trees, kitty gyms, catwalk shelving, cat houses, hidden litter boxes, and more. It makes sense that cat furniture is so popular. In most cases, these pieces are fun for your cat, and it gives her something that’s all her own. Unfortunately, cat furniture can often come with a pretty hefty price tag, and although it may seem like there are countless options available on the market today, it can be challenging to find something that is the perfect fit for your home. So, we’ve rounded up a few great ideas for DIY cat furniture that we’re sure you’ll love. Not only do these DIY treasures come at a fraction of the cost, they are fun to create, and they give you the opportunity to build custom cat furniture that is the right size, shape, and color for your home. This great plan from Instructables.com hits all the high notes: it offers perching opportunities for your furry friend, a place to hide, and plenty of surface area for scratching. We also totally love that the majority of this project consists of recycled materials, which means that this cat tree is equal parts budget-friendly and eco-friendly. Check it out HERE! There are so many options for building your own cat shelving system, and all of them are sure to be a home run with just about any cat out there. These are perfect for small spaces, because they allow you to give your kitty a place to climb and play, without losing too much (if any) of your floor space. Lowe’s offers some great plans for a very attractive wall-mount cat perch that will blend in nicely with your home’s existing décor. It’s a really pretty shelf, so you’ll definitely want to check it out HERE. If that’s not quite your style, check out the plans from ModernCat, which offer a very easy and practical approach to the cat shelving system. Finally, here’s a great video that we found, which makes this project look like a breeze! Looking for something that you can create from items already found around your home? What about making something cute out of the cardboard boxes that your cat already loves so much? If this sounds like something that interests you, here are a couple of our favorites: The DIY Cardboard Cat Rocket, courtesy of Apartment Therapy and The DIY Cardboard Cat Castle, courtesy of Haute Nature. How Did You Celebrate National Dog Day? This past week, (on Wednesday, August 26th, to be precise) you may have noticed your social media feeds filling up with cute photos of all your friends’ canine companions. We can’t speak for everyone, but in our opinion, it was a very welcome change. We think that adorable pet photos will brighten anyone’s day, and as it turns out, we’re not the only ones who feel that way. One of our favorite things about Oprah is her love for her pups. She’s never made any secret about how much she adores her dogs, so it’s no surprise that she took to social media to show them a bit of “extra love” on National Dog Day. Rob Thomas did the same thing on Twitter, and we thought it was equally adorable! Isn’t Lucy’s lab to die for? What a cutie! …and who can resist kid-meets-pooch? Rascal Flatts for the win. With so much puppy love going around, who could possibly think of anything else? It certainly makes it hard to concentrate on work, doesn’t it? If you somehow missed the National Dog Day festivities of 2015, don’t fret. You’ll get your chance again next year! Choosing the perfect name for your new family member can be a daunting task, for sure. After all, it’s a choice that both you and your pet are going to have to live with for a lifetime. You definitely want to choose wisely, but with all of that pressure, it’s easy to understand why so many new pet owners find themselves stumped when trying to think of the perfect name. Try to avoid names that rhyme with or sound like other words that your pet will hear frequently throughout his or her life. For example, the name “Camille” might sound a lot like the common command, “heel”. Stay away from the most popular names. It’s a challenge… those names are popular for a reason! We all like them, but you don’t want to find yourself in puppy training class (or any other situation) with four other dogs who answer to the same name. Avoid choosing a name that could cause embarrassment in the future. This is a mistake that is made much more commonly that one would like to think. In general, if you would be too embarrassed to call it out in a public place (like the dog park, for instance), skip that one and move on to something a bit more PG. Name some of your favorite book, cartoon, or movie characters from your childhood. Examples may include: Pongo, Joker, Flash, Calvin, etc. Are there any special features, monuments, or other cultural elements that are symbolic of your local region? For example, the names “Boudin”, “Gumbo”, and “Roux” may be fun choices for pets living in Louisiana. What was your favorite subject to study in high school? Science buffs may think that “Beeker” is a fun name for a cat or dog, while mathematicians may favor something more along the lines of “Abacus” or simply “Pi”. Write down 10 to 15 words that you think describe your new pet. Use these words, as well as any synonyms that come to mind, and narrow your list down until something sticks. Of course, these are just a few ideas to get your creative juices flowing. If you still can’t think of any names that make you want to commit, ask your family and friends. You can even host a pet-naming party, if you really want to make it a group event. When all else fails, though… there’s always Google. Any seasoned pet-owning renter will tell you that the going can get pretty tough when you’re looking for the perfect place for you and your furry friend to call home. While the majority of landlords won’t give a second thought to fish or caged pets, dogs and cats are an entirely different story. Last week, we talked about how to manage pet ownership with the challenges of college life. For those who intend to live off-campus in an effort to find a pet-friendly home, this should serve as a helpful guide in addition to what you read last week. It’s also intended to provide some useful tips for anyone who is new to the whole pets-in-a-rental dynamic. Most rentals place a limit on the number of pets allowed in a home. Many will also limit the size of the animals that they allow. Some rentals favor one type of animal over the other. For instance, they may allow cats, but no dogs, or vice versa. Unfortunately, some rentals will also have restrictions about certain breeds of dogs, as well. Most typically, these are breeds that have been mislabeled as “inherently dangerous” or “naturally aggressive” animals. Try not to fight against restrictions like this or take them personally. Moreover, the last thing you want to do is to try and “sneak” an animal in. We can promise that you will get caught, and it will just cause you more headaches in the end. Remember that with a little perseverance (as long as you don’t own an unreasonable amount of animals), you will almost always be able to find the right rental home for your situation. As a pet owner in a rental home, you always want to make sure that you’ve taken all the necessary steps to prevent your pet from being a nuisance to the community. This could mean anything from noise control to picking up waste after a walk around the block. Whatever you do, just remember to be courteous to your neighbors. It will save you tons of trouble in the long run. There are often additional financial responsibilities associated with renting with pets. You may have to pay a higher monthly rent, an additional pet deposit, and even sometimes a non-refundable pet fee, in additional to the security deposit that is paid by all other renters. Your landlord or apartment manager may ask you for updated records on your pet. This could include medical records, vaccine information, or any licensing requirements that are specific to your local area. It’s entirely possible that your future landlord will ask to “interview” your pet before agreeing to let you live there. This has become more and more commonplace, so be prepared for them to ask. In some instances, the landlord may ask you to invest in a renter’s insurance policy. In addition to covering any damage to the property, this will protect both you and the landlord in the event that your pet bites someone while on the premises. Real estate is a huge investment, so it’s easy to understand why landlords and apartment managers work so diligently to protect their properties. That doesn’t mean that you will be stuck with no place to go, however. Although it may require a bit more effort on your part, we’re sure you’ll be able to find the perfect home for you and your furry sidekick. There are certain times of year when animal shelters tend to be at their busiest. For example, a few weeks after Christmas, shelters begin to overflow with all of those puppies and kittens that were given as gifts to unprepared recipients. Late spring is also a busy time, often due to unaltered stray animals and their tendency to breed around that time. It’s wise to speak with your trusted friends and family members long before your anticipated move. Oftentimes, your loved ones want to support you in your academic endeavors, and you may be surprised how willing they are to lend a helping hand. The best part is that if you’re within a reasonable traveling distance, you’ll be able to visit with your best friend on weekends and holidays. It takes time and energy to care for a pet, and your loved ones are doing you a huge favor by making sure that your companion is safe while you’re away studying. Be sure to show your gratitude every chance you get! Never leave it up to your friends or family to fund the basic needs of the animal. More specifically, they shouldn’t be held financially responsible for food or veterinary care. If you plan to share your apartment with roommates, be sure that everyone is on the same page about the care of the animal. Always try to ensure that your pet is behaving respectfully. Do not allow your pet to disturb roommates, neighbors, or apartment staff. Do your best to squeeze quality time with your pet into your schedule. That’s why you’re so intent on keeping him or her with you, isn’t it? Finally, remember that if you expect that your class schedule will be pretty heavy during the coming school year, you should plan for a friend or paid pet sitter to swing by and care for your pet through the day. If you own a dog, you may also want to consider a doggie daycare, which also provides social enrichment for your pup. Keeping your pet by your side throughout your college years is far from an impossible task, and we want to encourage you to consider every option before making the gut-wrenching decision to surrender your best friend to your local animal shelter. International Assistance Dog Week Starts Today! Every year, beginning on the first Sunday in August, we celebrate the hard work and heroic deeds performed by assistance dogs around the world. This year, International Assistance Dog Week falls on August 2, 2015 – August 8, 2015. Where the acceptance of service dogs is concerned, we’ve made great strides in the United States over the last year. For example, New Jersey lawmakers have introduced legislation aimed at educating employees on the rights of citizens with a disability to have a guide or service dog with them in public places. This came about after an incident in 2013 involving a legally blind man who was ordered to remove his dog from a store, even after providing proof that his dog was a trained service animal. In other places in the country, children are being taught about proper etiquette when dealing with service dogs, which is a fantastic step toward increased safety for the disabled, the dog, and the children. Obviously, if these events occurred within just a few days of one another, it’s reasonable to believe that this is nearly an everyday occurrence. These dogs are more than just pets to the people they serve. They change lives in profound and positive ways, and refusing to welcome them into public places is not the way that they should be treated. If you are the owner or manager of a business, we want to encourage you to teach your employees about the importance of service animals and the work they do. You might even consider learning more about how service dogs are changing the workplace. International Assistance Dog Week hosts fundraising events all over the United States. If you’re lucky, there will be one in your town this year, which is a great opportunity to support this very important cause. You can find a local IADW event by clicking HERE. Finally, you can show your support and stay up-to-date without ever leaving home by following International Assistance Dog Week on Facebook and joining their emailing list. Cheers to another great year for service dogs everywhere! Dogs are at highest risk of contracting canine influenza when they are confined in close quarters with other canines. In most cases, this translates to day care, boarding facilities, and grooming salons. If you’re concerned, speak with your facility’s staff to learn what measures they are taking to protect pets from spreading this and other illnesses. There is a canine influenza vaccine. However, it has (thus far) been very difficult for veterinarians to obtain. It’s also important for dog owners to understand that, much like the human flu vaccine, it does not provide complete protection. It does, however, improve the patient’s prognosis if exposed. The symptoms of canine influenza are very similar to those experienced by humans who have come down with the dreaded flu. Dogs with the virus will experience coughing (either dry or productive), fever, excessive nasal discharge, anorexia, and more. Canine influenza is not yet well controlled, and this particular bug has moved to a total of 40 states since being introduced to the United States. 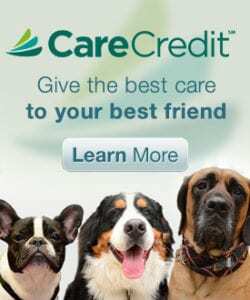 Regardless of where you live in the country, if your dog is showing signs of lethargy or respiratory illness, you should speak to your family’s veterinarian. These symptoms are cause for concern, even in the absence of canine influenza, and you should also be careful about exposing your dog to other pets until a diagnosis has been made. Whether your dog is a “home body” or a well-travelled pooch, take the time to learn more about this very serious condition by visiting www.DogInfluenza.com.